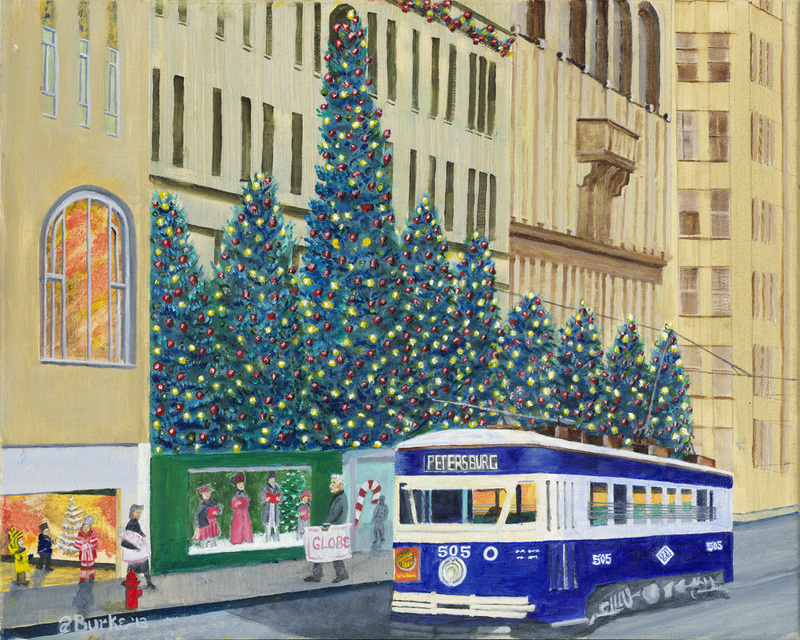 The canvas portrays a nostalgic scene of Scranton’s Wyoming Avenue circa 1950 in which trolley car 505, signed for Petersburg, has stopped for Christmas shoppers in front of the Globe Store. 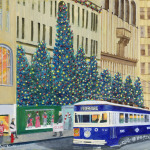 The theme is an apt picture of how warm and grand Scranton could be during Yuletide. Crowds would come just to be part of the celebration of the season.